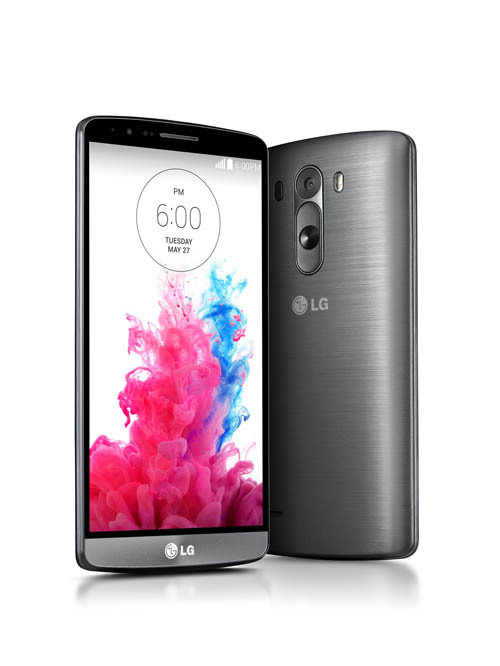 Check LG G3 android phone specs, features, price, reviews and availability. LG G3 is one of the best Android phone launched by the LG company with best specs and features. The look of the LG G3 is quite the same that we have seen in the LG G2 android phone. There is a new metal look on the back, which is not just lightweight but also fingerprint-proof and looks extraordinary with the color options too. The LG G3 comes with 5.5-inch Quad HD IPS with 2560 x 1440 pixels screen resolutions including 538ppi. The device is powered with Qualcomm Snapdragon 801 Quad Core processor clocking at the speed of 2.5 GHz and runs with Android 4.4.2 KitKat OS. The device has supported by 2GB / 3GB RAM based on the storage 16GB / 32GB variants and the external storage can be expandable up to 128GB via microSD card. The LG G3 has 13-megapixels of rear facing camera with OIS+ and laser Auto Focus features and there is 2.1-megapixels front facing camera for video calling. The connectivity of the device includes Wi-Fi 802.11 a/b/g/n/ac, Bluetooth Smart Ready (Apt-X), NFC, A-GPS/Glonass, USB 2.0 and Slimport. The dimensions of the device are 146.3 x 74.6 x 8.9mm and packed with 3,000 mAh battery. As of now the device is only available in South Korea, but it will be soon available to Global market. The LG G3 device comes in Metallic Black, Silk White, Shine Gold, Moon Violet and Burgundy Red. Stay connected to get latest news regarding launch in India and other countries.